Some of Australia's best known writers share their wise and searingly honest experiences of losing a parent. The loss of a parent is an experience that we all face without any training - relating to a parent through old age and illness; going through the actual death in different circumstances and whether we can help parents to have a good death; the emotional aftermath - shock, grief, relief, the effect on families; funerals, wills and other rituals; clearing out the house and keeping memories alive; recovery and carrying on with life; the longer-term changes in us and our relationship with our parents. 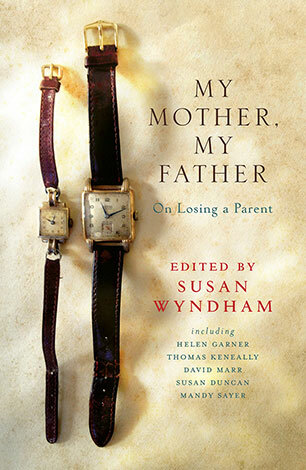 Edited by Sydney Morning Herald literary editor, journalist and writer Susan Wyndham, My Mother, My Fatheris a collection of stories from 14 remarkable Australian writers, sharing what it is to feel loss, and all the experiences and memories that create the image of our parents. Contributors include Helen Garner, David Marr, Tom Keneally, Gerard Windsor, Susan Duncan and Caroline Baum. These stories are intimate, honest, moving, sometimes funny, never sentimental, and always well written. Susan Wyndham is the literary editor of The Sydney Morning Herald. In her career as a journalist she has been editor of Good Weekend magazine, New York correspondent for The Australian and a deputy editor of the Herald. She is the author of Life In His Hands: The True Story of a Neurosurgeon and a Pianist, and has edited and contributed to several other books.